I’ve always fancied myself a seamstress. . .
As a kid, I used to make costumes for my cats, making them get married or go to a ball. I’d spend hours on costumes, and quite a bit of time trying to get them on the cats! Once done, I’d sit back and admire my work, as I applied Bandaids to my face and neck. But I never really LEARNED to sew. Yes, I could sew on a button (Thanks Grandma! ), but I never really learned on a sewing machine. I envied people who could! So over the years, as I tried to create Halloween costumes for myself and eventually my kids, I found I became very adept at using a hot glue gun to seal seams! This makes a great, last minute gift idea, or even better, it could become a community service project for middle school or high school students! 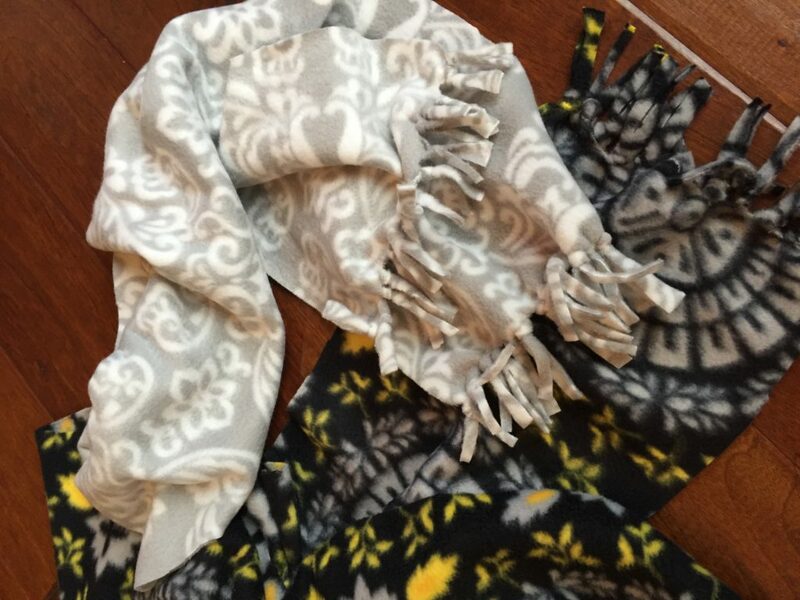 Make a few scarves in one day and donate them to a homeless shelter! 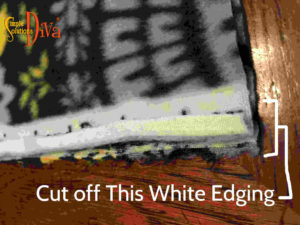 Fold the yard of fleece in half, line the edges up and cut off the white edging where the print stops. 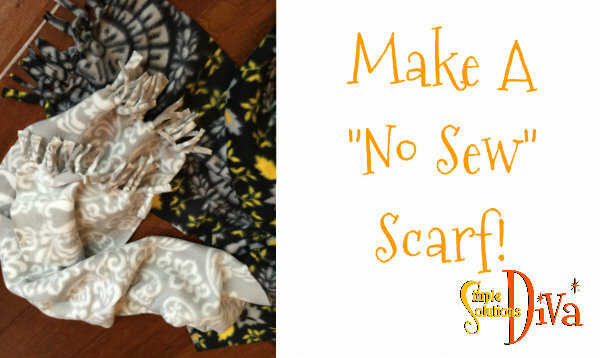 Use masking tape to mark off the four scarves and to provide a straight line to cut along. 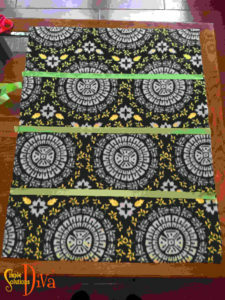 Scarves should be 8-10 inches wide – on this project I marked off 9.5 inches. I love the timeless, holiday tradition of bringing home the fresh Christmas tree! But want to guess what the most annoying, holiday tradition is? 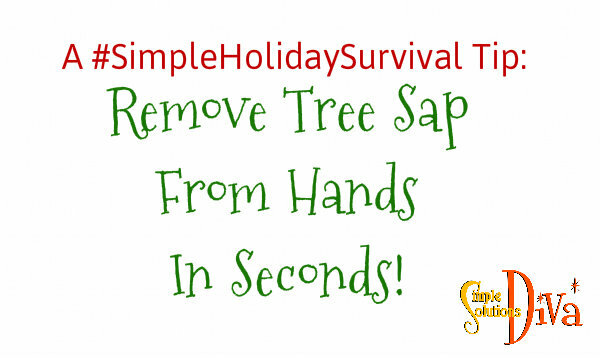 Trying to get the tree sap off your hands! 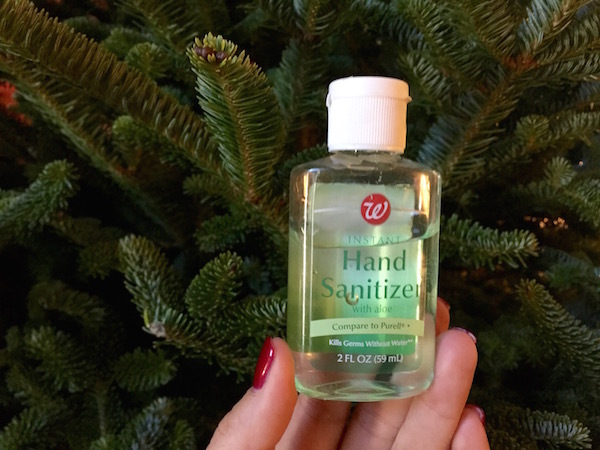 I have to thank James, the guy at the tree lot where we bought our Christmas trees for this fantastic tip — and it really does work in seconds! Who knew something so simple would work so well? 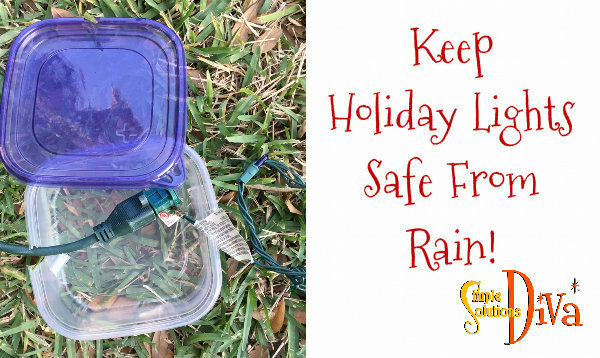 Keep Holiday Lights Safe From Rain! During the holidays, have you ever come home one rainy night to see your holiday lights are out? When water gets into those electrical connections (like where extension cords connect to holiday lights), it can create a short which trips the circuit breaker – causing all your outdoor lights associated with that breaker to go out! 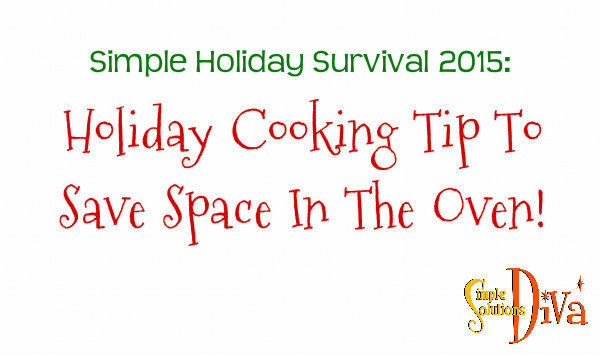 This Simple Holiday Survival tip is sure to help prevent that from happening! 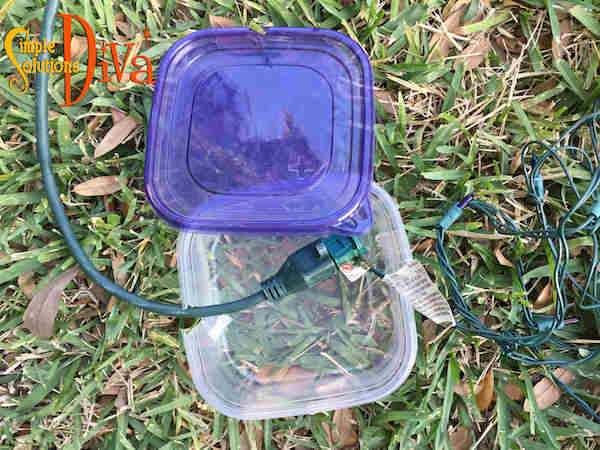 SimpleSolutionsDiva.com’s tip to keep outdoor lights from blowing out! 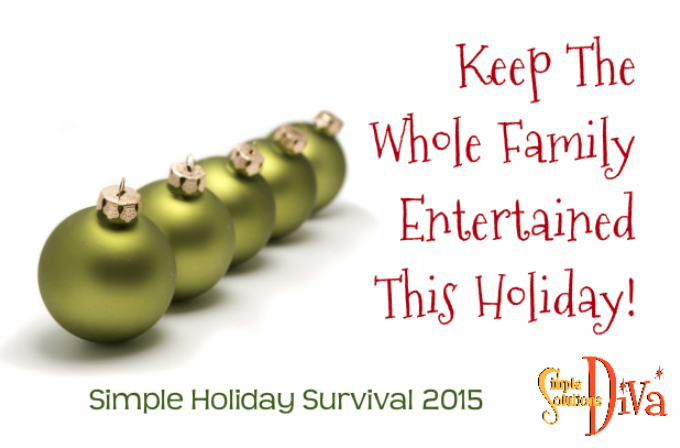 Keep The Family Entertained & Interacting This Holiday! The holidays mean lots of family time! But with people of different ages coming together, how do you keep everyone entertained and interacting? 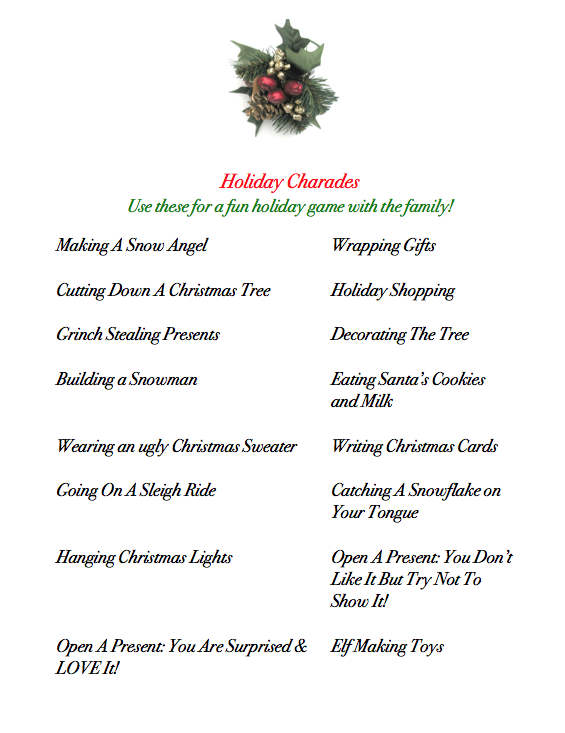 Try a few, fun holiday games to bring the family together to laugh and be silly – something all ages can get into! Christmas Wreath with wire or ribbon to hang in a doorway. A kitchen timer or someone to watch the time! Suspend the wreath from a doorframe about chest high. Place the bucket on floor just behind the wreath. Stand about 6 feet from the wreath. Throw the “Snowball” marshmallows through the wreath and get them to land in the bucket. You have 60 seconds to get 10 in the bucket. Christmas Tree Minute To Win It! Using only one hand, you have one minute to stack all 36 cups to make a Christmas tree pyramid. This is like Jenga with ornaments! Shatterproof ornaments with wire hooks on them. 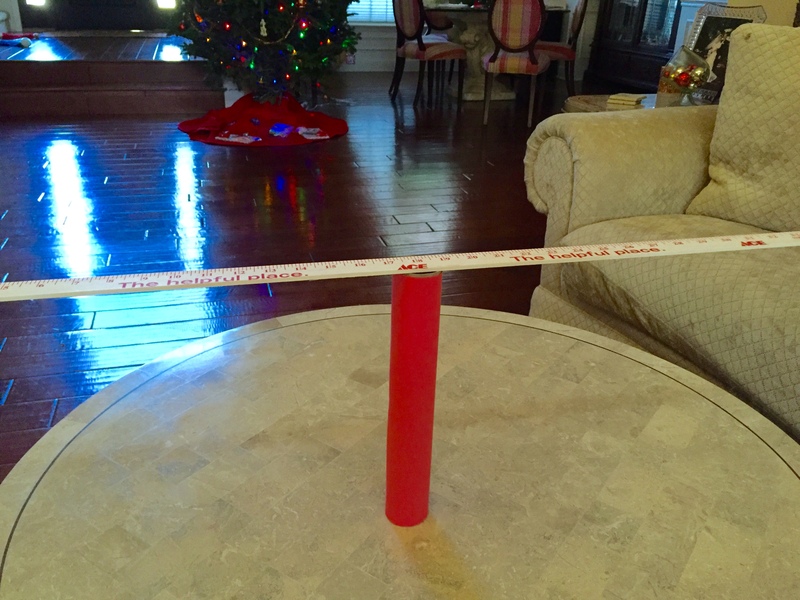 Empty Paper Towel Tube – I covered mine with red construction paper, just to be festive! Stand the paper towel tube on one end. Place the yard stick on top of the tube, making sure to center it as best as possible (See photo below!). 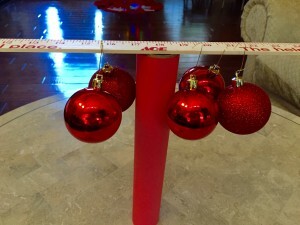 Participants take turns placing ornament on either side of the yardstick. The game is over when the yardstick becomes unbalanced and it tumbles! A funny drawing game where even the family artist will be challenged! Draw a line for a floor. Draw a Christmas Tree, adding decorations if you would like. Draw a star on top of the tree. Draw a Fireplace with a mantle next to the tree. Draw Stockings hanging from the mantle on the fireplace. Draw a present below the tree. Draw a circle for the face/head. Draw antlers on top of the head. Draw a nose in the center of the face. This is sure to get people moving in this challenge! Two empty facial tissue boxes (the long, rectangular size are best!) – Cover them with red paper or holiday paper, if you would like! 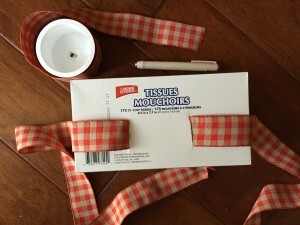 Make two slices on the bottom of the tissue boxes – large enough to thread the belt or ribbon through. Feed the belt or ribbon through the holes. Tie or belt the boxes onto each participant so the box is on, or near, their rear end. 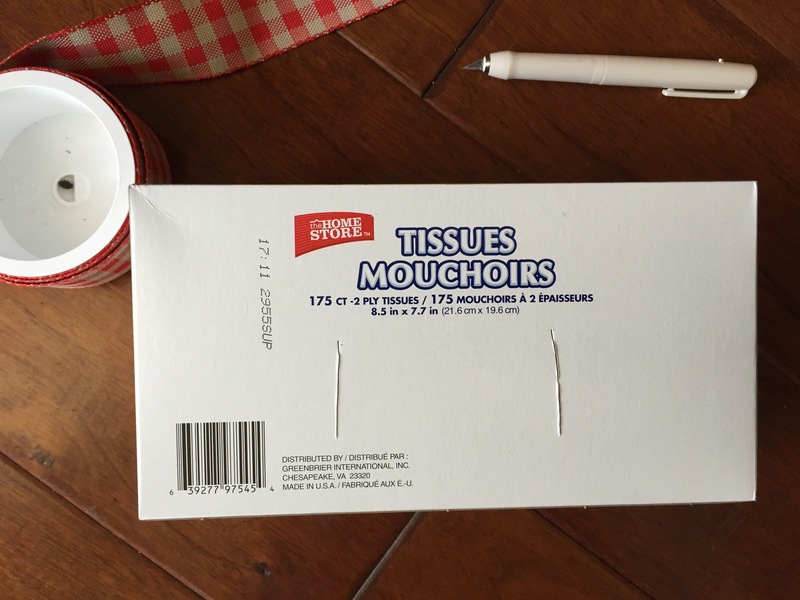 Place 8 bells into each tissue box and “Cue The Music”! Each participant starts shaking and moving to the holiday music – first one to bounce all the jingle bells out of their box is the winner! 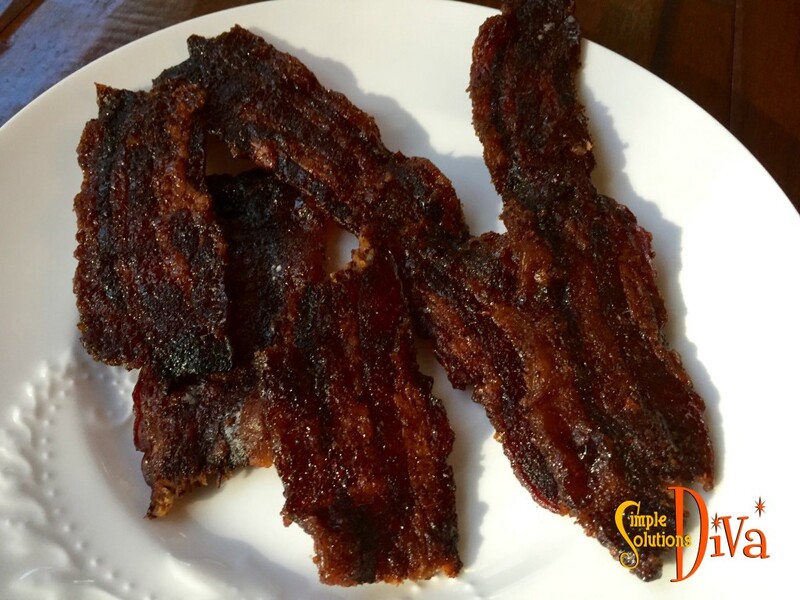 Candied Bacon – A decadent, indulgent snack that just happens to pair beautifully with cocktails! 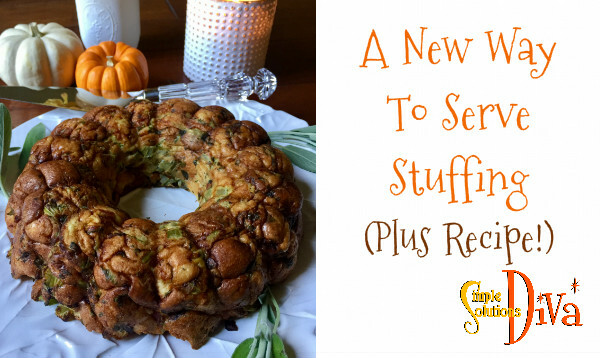 Plus it is great as a hostess gift, or crumble a little over a nice salad! 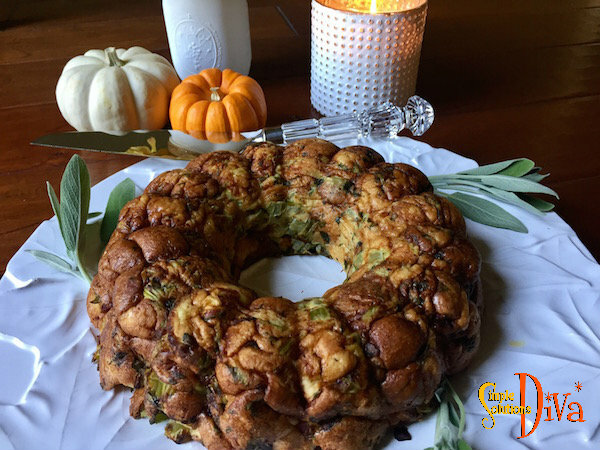 This smells divine as it is cooking in the oven – Be sure to turn the bacon when it is halfway through cooking. And remember, since ovens do vary, begin checking the bacon starting at about 40 minutes into cooking to make sure it doesn’t burn! The bacon will look dark because it will be covered in that yummy spice and brown sugar mixture! When the candied bacon comes out, rest it on clean paper towels to pull some of the fat away. This stores best at room temperature! 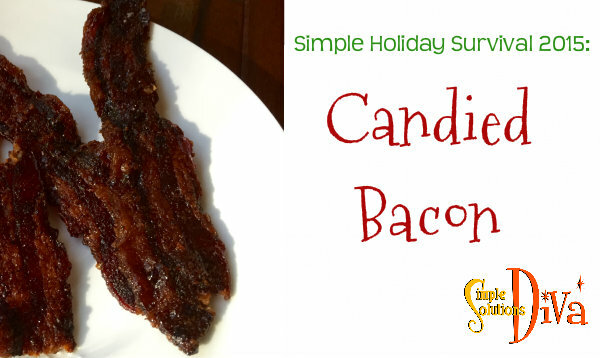 Candied Bacon is a decadent delight! 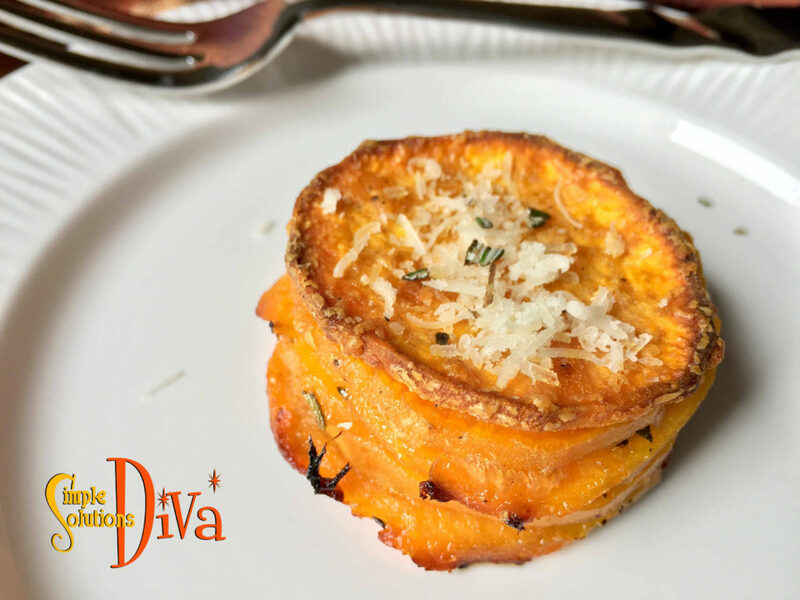 Serve it as a cocktail snack, or crumble it on top of a salad! Cover a cookie sheet with tin foil (so you don't ruin the cookie sheet!). place a baking rack on the cookie sheet and spray generously with non stick cooking spray. 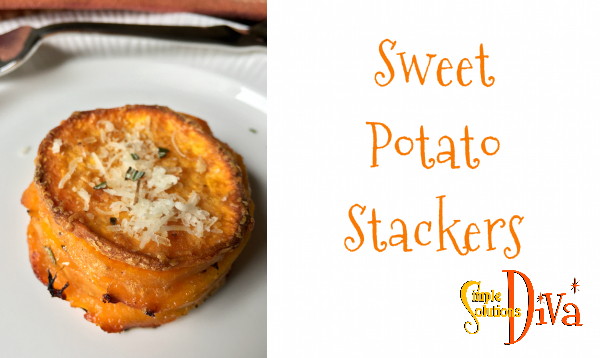 Combine the brown sugar and spices on a dinner plate. Taking one piece of bacon at a time, press the bacon into the brown sugar mixture, making sure you cover both sides. Lay the pieces on the baking rack. 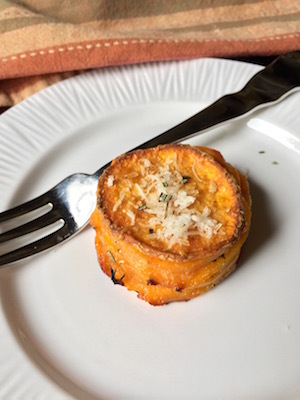 Bake for 40-60 minutes, turning once halfway through. NOTE: Ovens do vary, so be sure to check on the bacon regularly as it cooks! 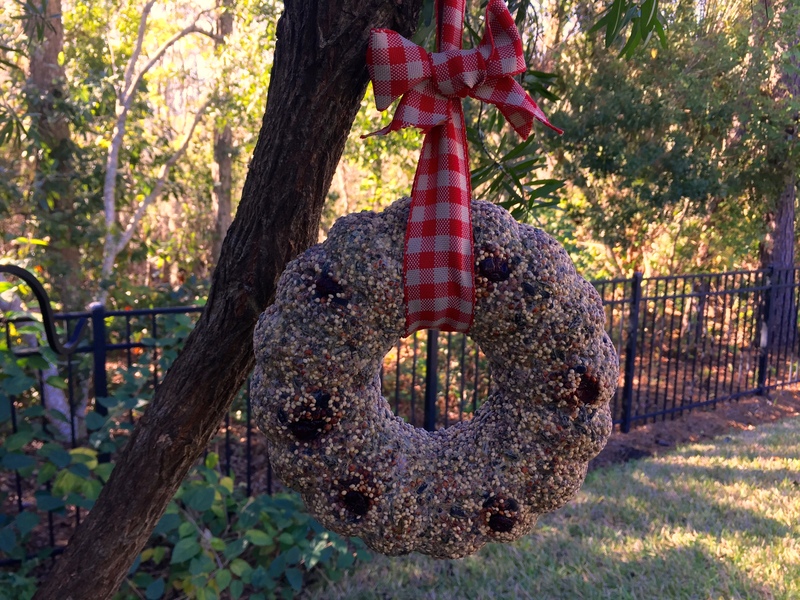 I enjoy having birds visit my back yard feeders, and I thought this DIY Bird Seed Wreath would make a great holiday gift for anyone who loves birds! And best of all, it is EASY to make! 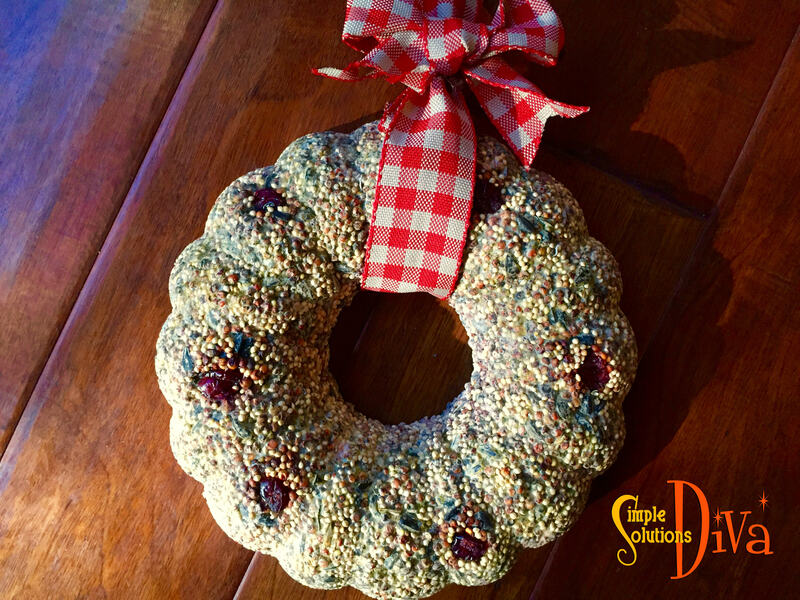 Notice in this photo, I added to the bottom of the bundt pan (before I added the seed mixture) dried, unsweetened red cranberries — just to add to a festive look! The wreath dries in about 24 hours. And then you can hang it on your favorite tree for the birds to enjoy! 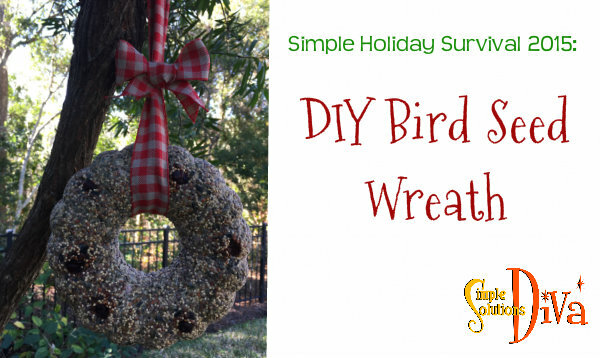 Make this simple holiday gift for the Bird Lover in your life! Combine water and gelatin in a large bowl and mix thoroughly. Add flour and corn syrup and whisk until it is a thick paste. Add in bird seed and mix until all seeds are well coated. Add selected dried fruits to the bottom of the pan. Firmly press the bird seed mixture into the bottom of pan. Set aside in a cool, dry place for 24 hours, or until dried completely. 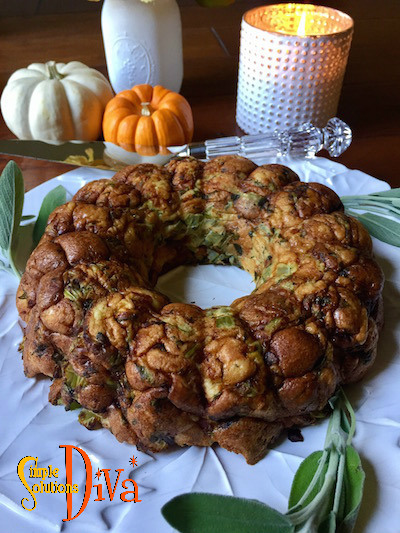 Remove from pan and add holiday ribbon. Hang on a tree outside and watch the birds enjoy!